One of the ways I help students make literacy connections is helping them get to know their own names, as well of those of their class mates. 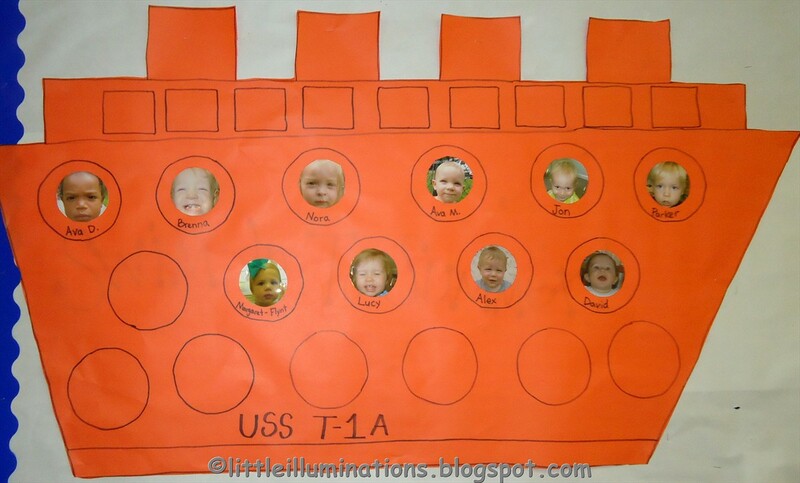 This chart is so easy, and I let the kids help out with making it, then display it all year at eye level. I give each student a piece of paper with their picture and name on it, with the first letter highlighted in a different color. 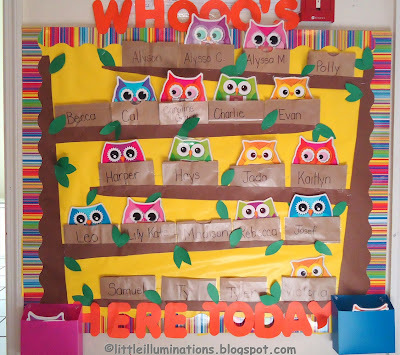 I go through each letter of the alphabet and ask, "Does anyone have a name that starts with 'a'? 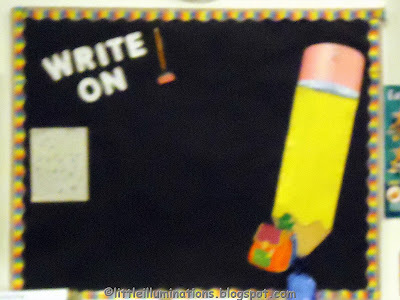 I ask all the students with "a" to come forward and paste their name next to a large letter "A". 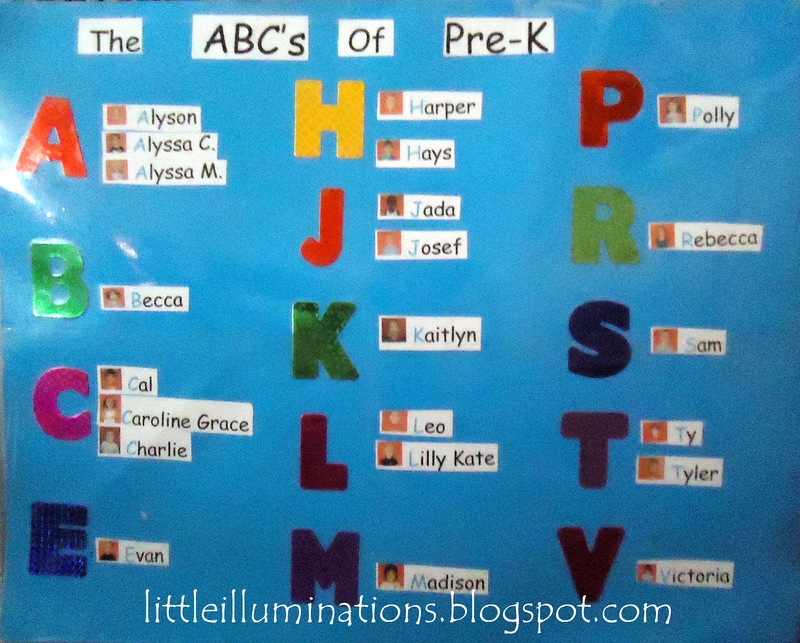 We continue through the alphabet until everyone has had a turn to put their name on the chart. 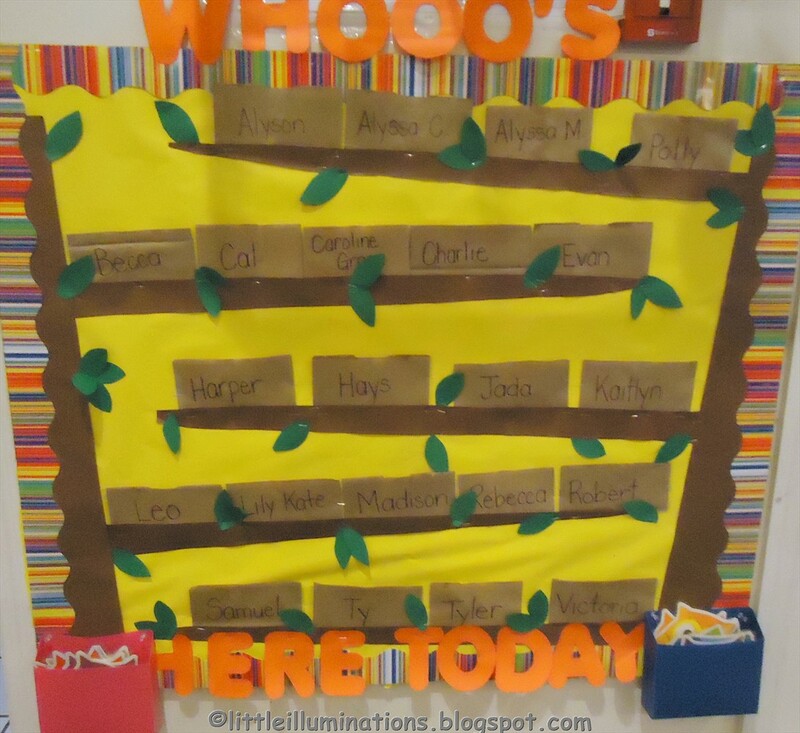 I find that the students often refer to the chart as the year progresses, comparing letters and checking the spelling of friends' names. 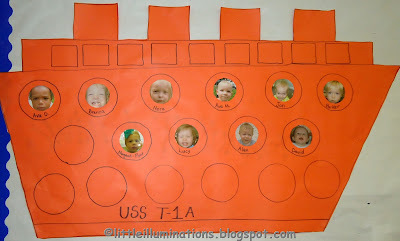 I occasionally come up with little games and activities using the chart, as well. 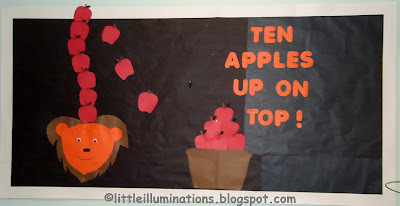 Check out the little illuminations facebook fan page and see what we're sharing today! 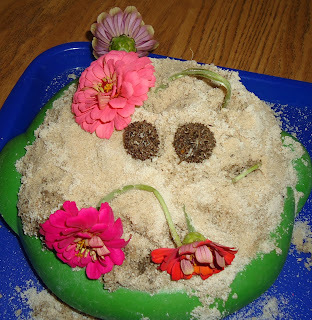 Some of the kids made this beautiful "flower pie" for me the other day on the playground. 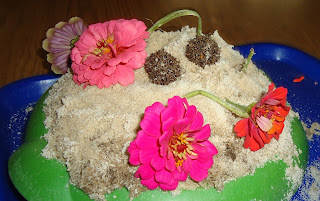 They are always making pies and cakes with the sand. 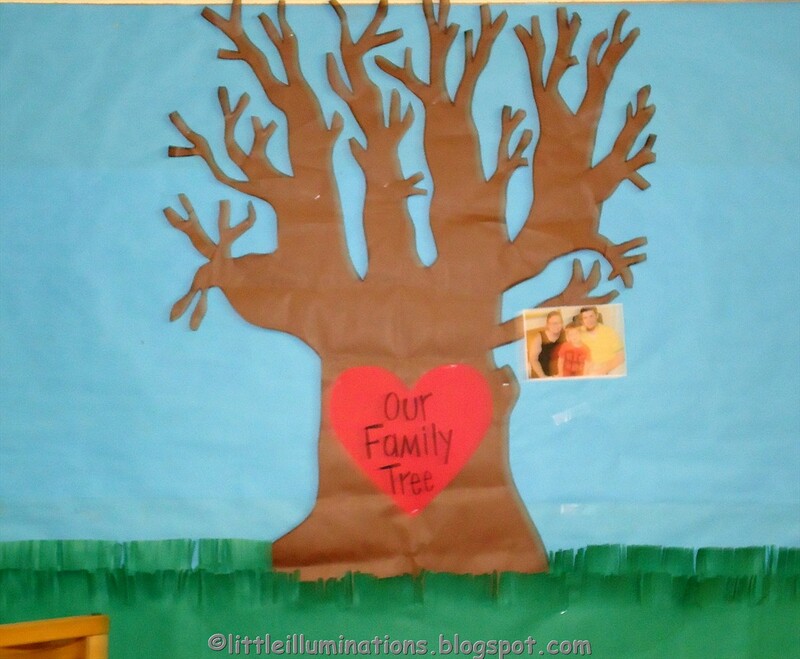 Gumballs from the trees on our playground are always in abundance, so of course they added a few. 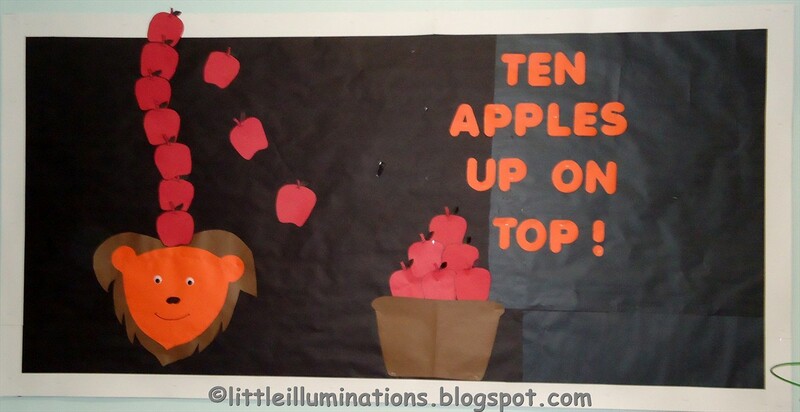 I love that they all call them "meatballs"! Eventually, a few discovered my flower garden from last year and added some beautiful decorations to help make this "flower pie with meatballs" just perfect! Our camera battery was charging, so we brought it inside for a while to enjoy until we could get a picture. 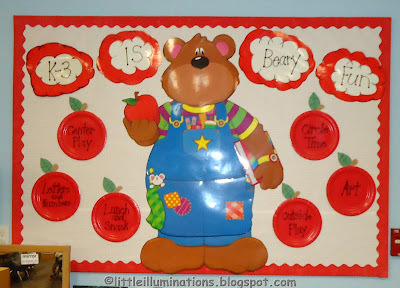 I almost hated to throw it away, but I know they will make many more this year! 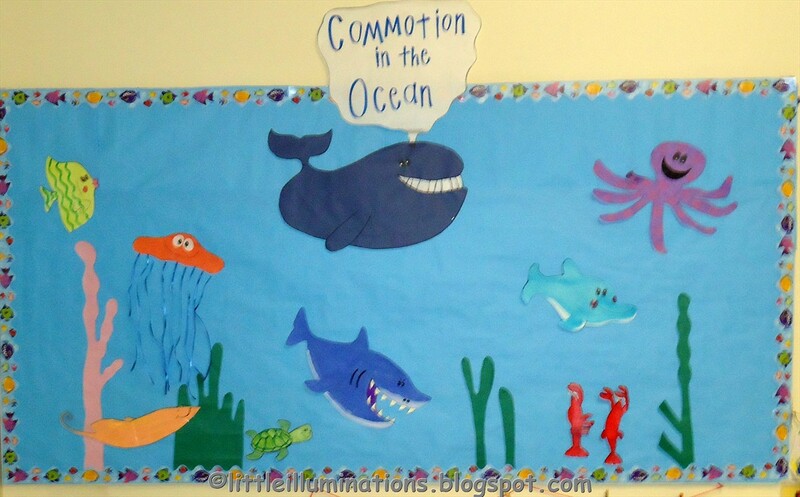 Our general classroom theme is fish, but I just love all the new owl decorations that are all the rage this year. 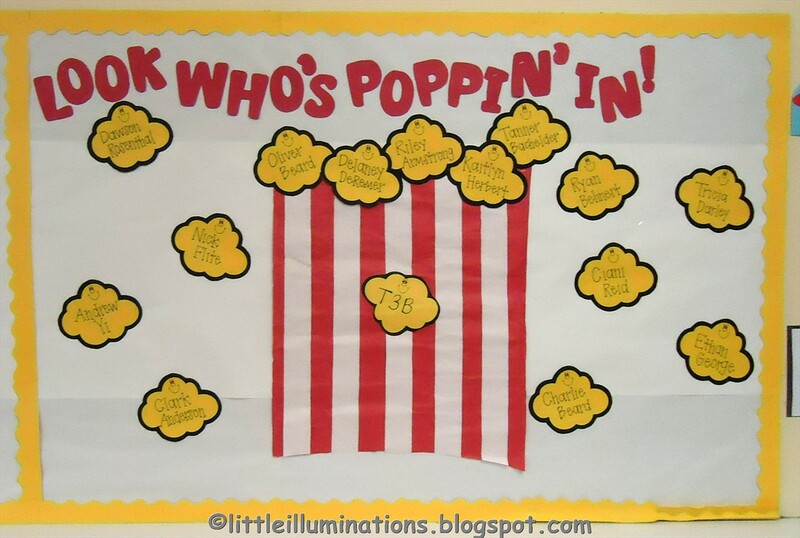 I just couldn't resist finding a way to incorporate a few into our classroom. 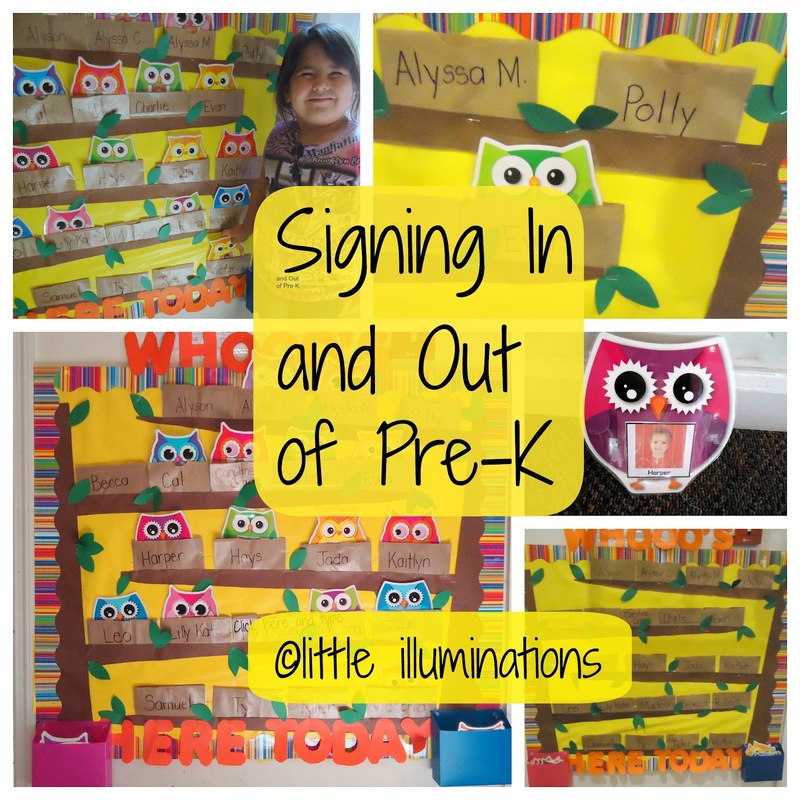 One of our daily routines is having the children sign in upon arrival. 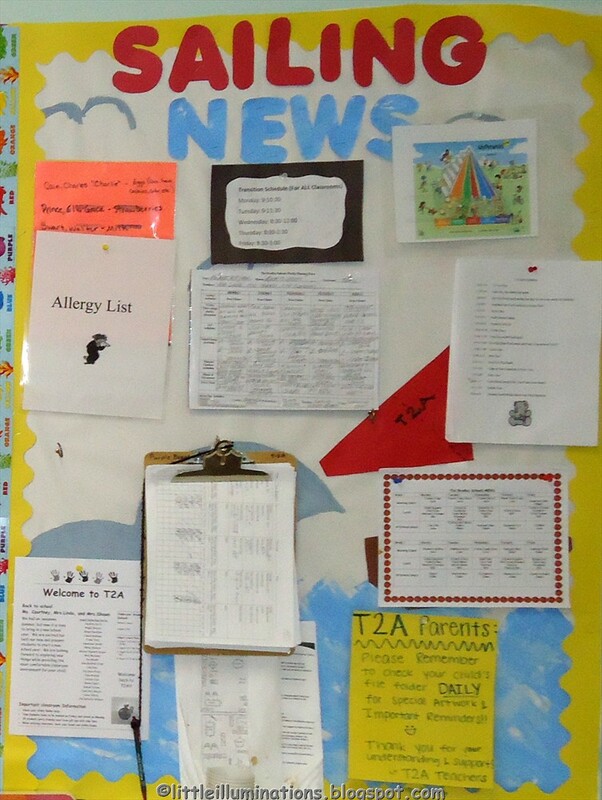 This is our new sign in/ sign out area. 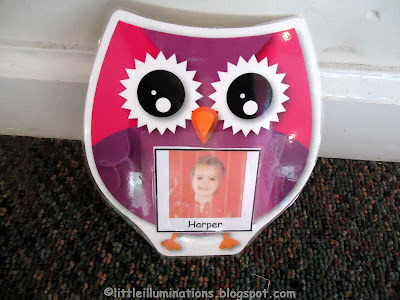 Right now, the kids find the owl with their name and picture on it and place it into their own nest on the tree branch. Later in the year, the kids will write their name on the back with a dry erase marker and place it into the nest. At the end of the day, they take the owl and put it in one of the bins at the bottom so it will be ready for the next school day! The "nests" were so easy to make! 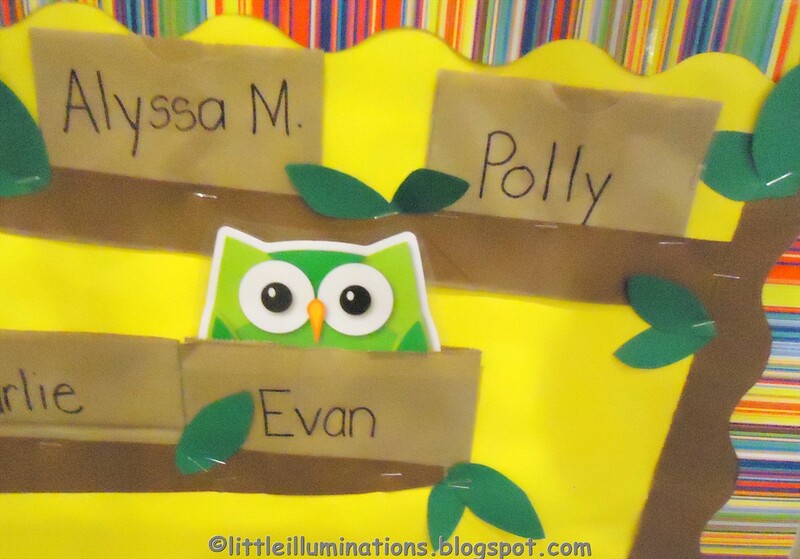 I chopped off the top of a brown paper lunch sack and contact papered both sides, leaving an opening at the top. 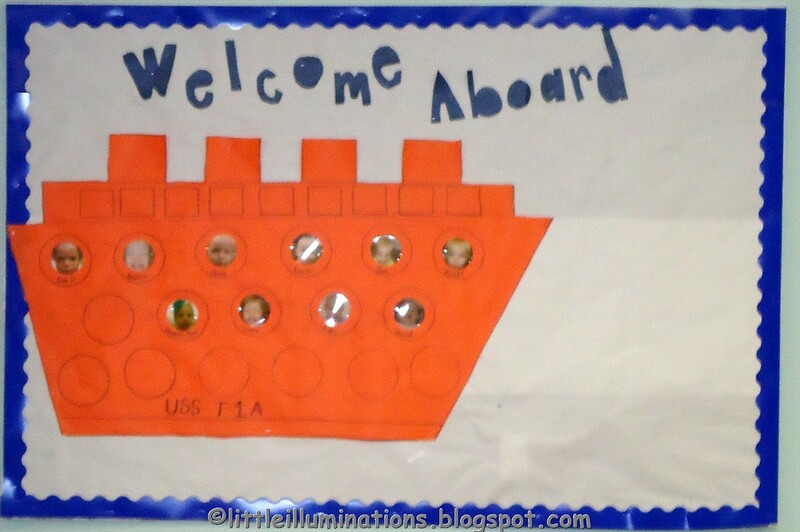 The kids are already loving this little routine! 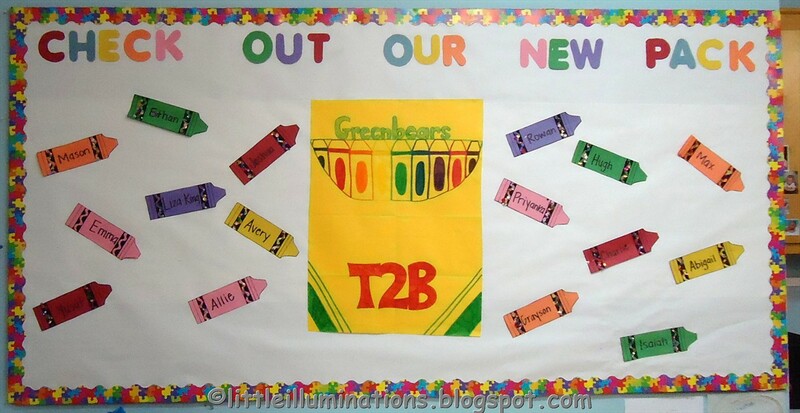 I can't wait until they are writing their names on the back, too! 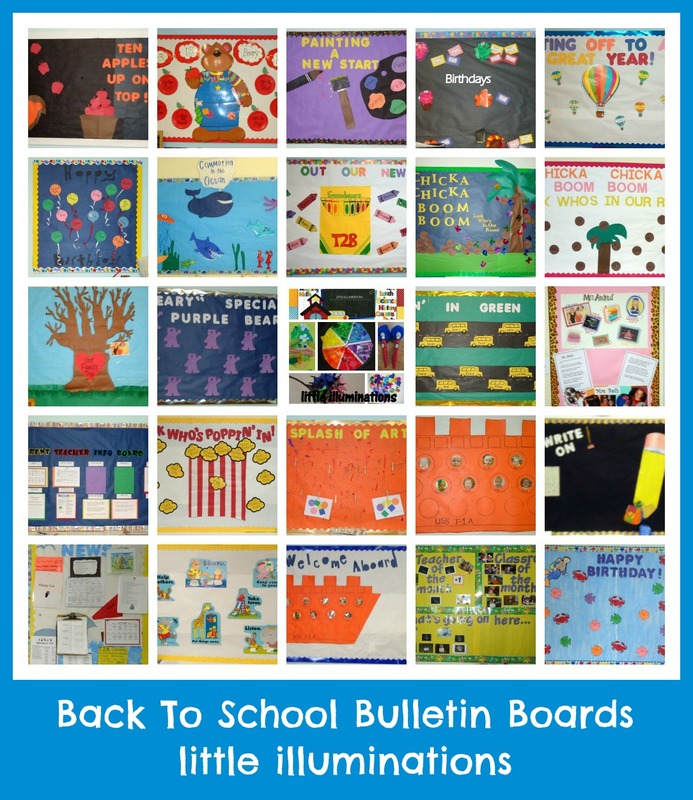 If you'd like to see more of our classroom bulletin boards and decorations, check out: Back To School Bulletin Boards...Redux! Check out the little illuminations facebook fan page and see what we're sharing. 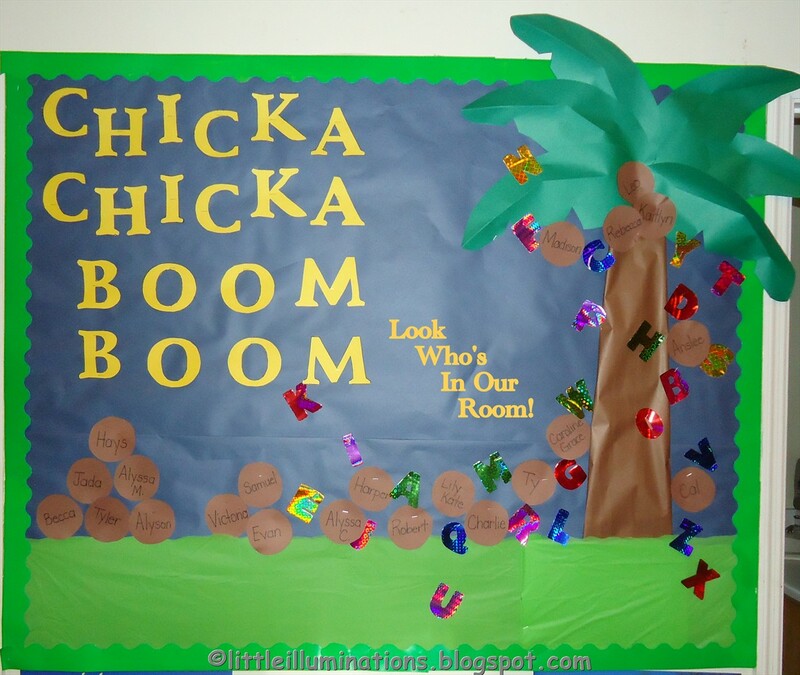 We are getting ready for a new school year, and teachers have been working themselves silly getting their rooms ready for the new classes. I've had the pleasure to peek at some of their bulletin boards and thought I'd share some here today. 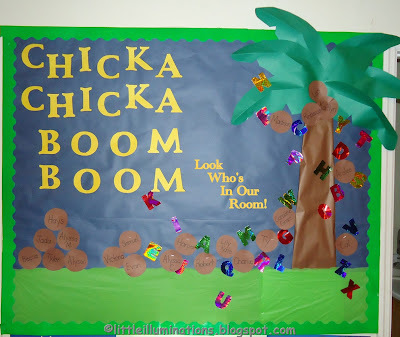 Chicka Chicka Boom Boom Boards! 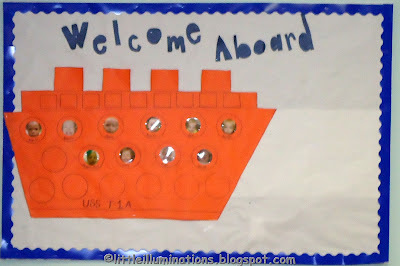 A close up of the ship and portholes! 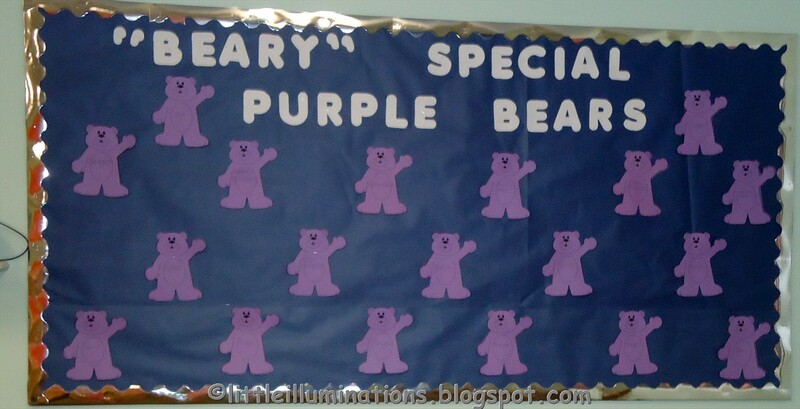 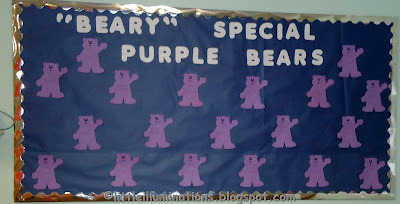 I was filling in at one of our other Preschools this summer, and this bulletin board was in the lobby. 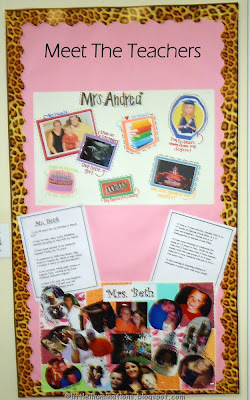 I love the idea of a central place to share special pictures and news for the entire Center! 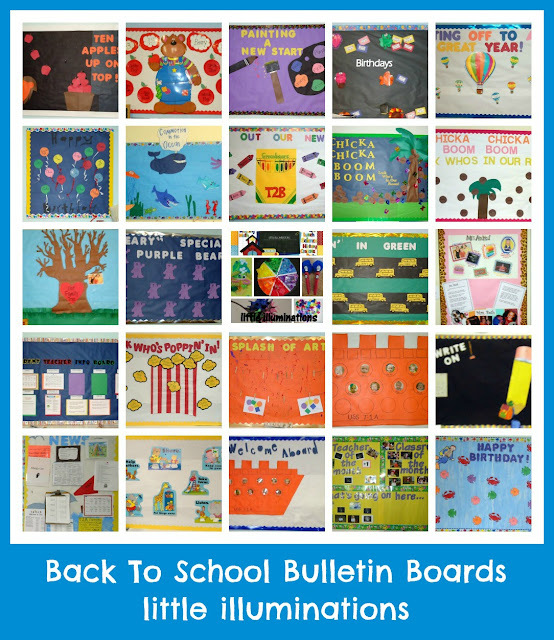 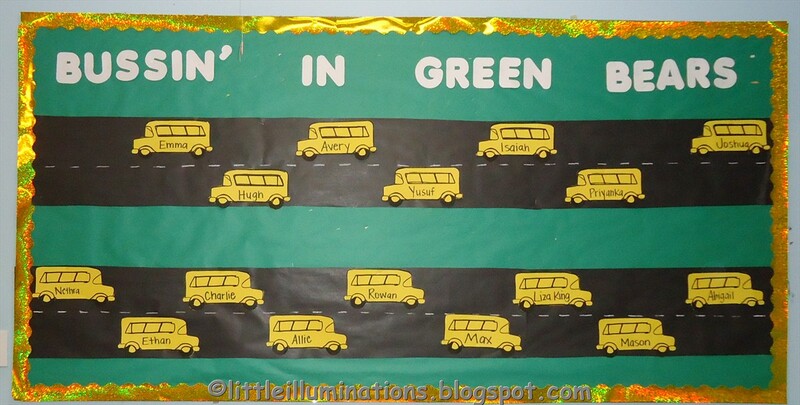 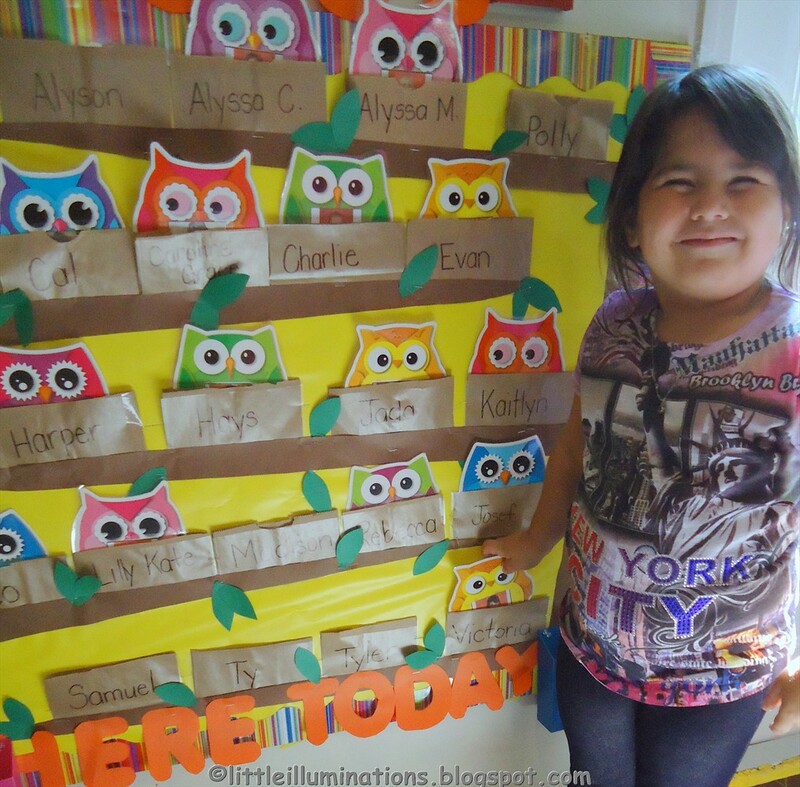 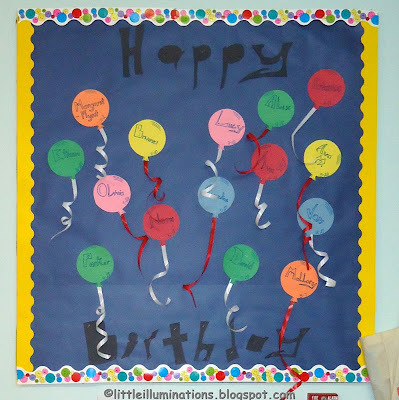 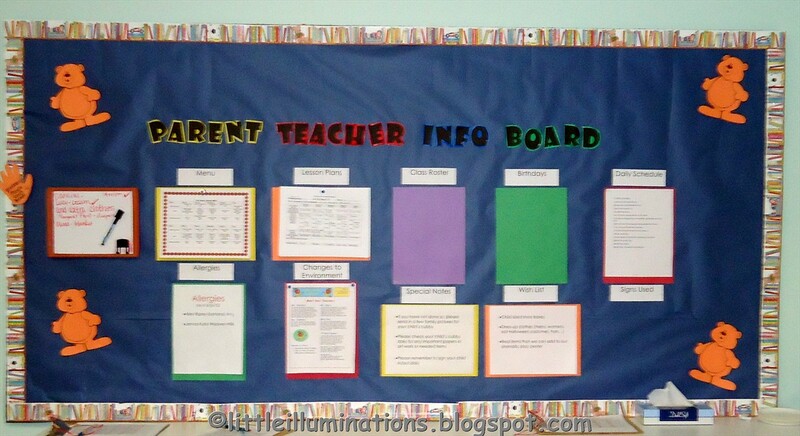 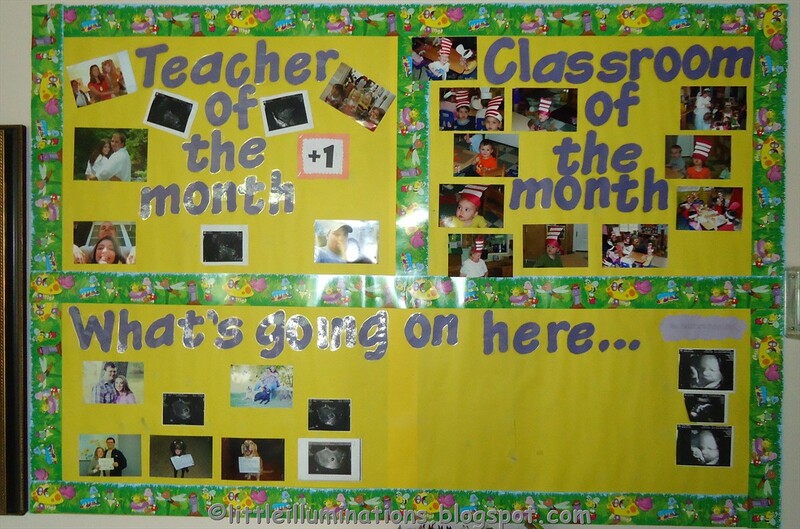 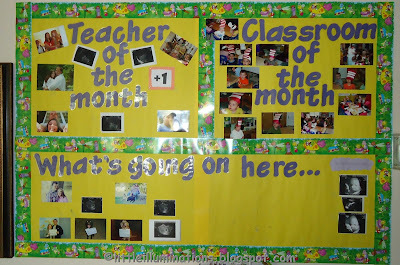 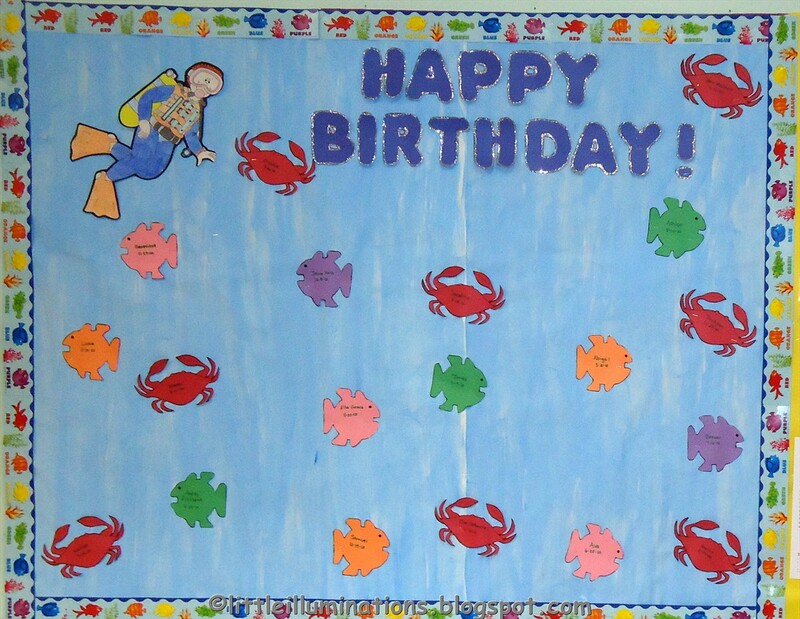 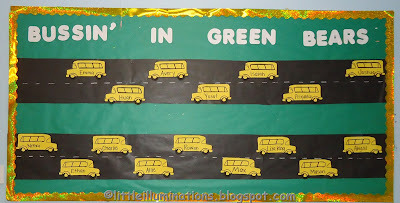 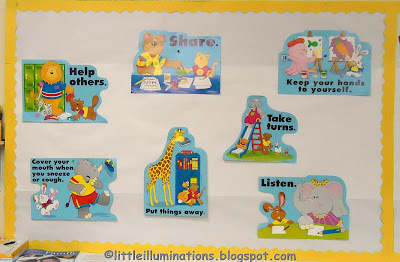 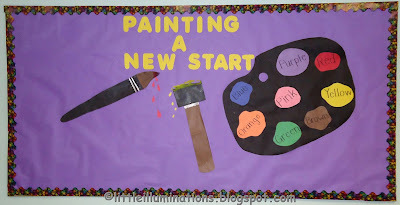 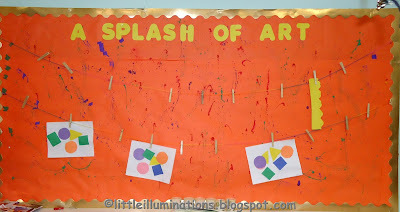 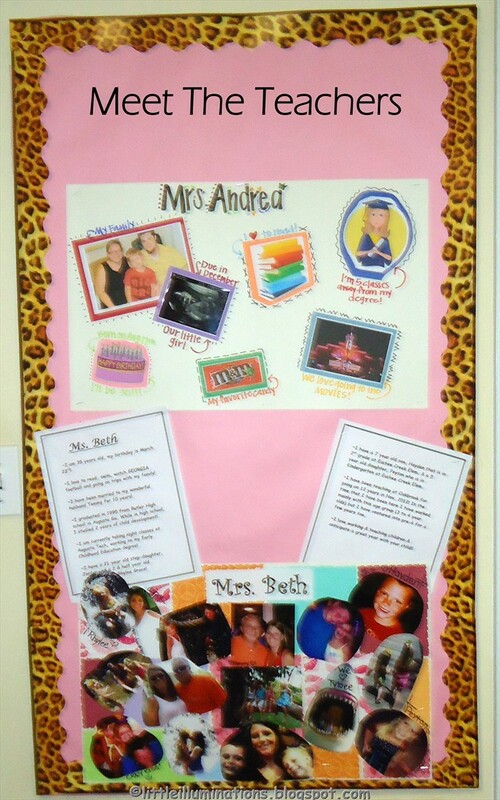 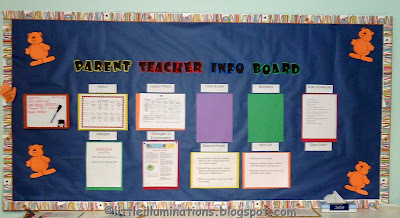 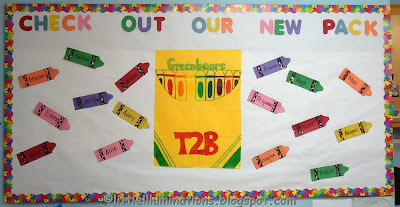 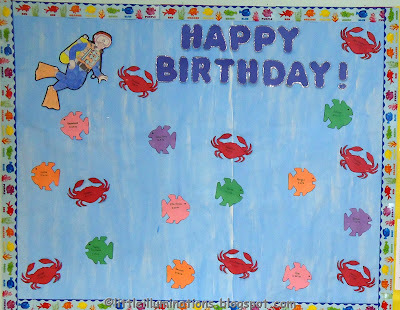 Looking for even more great bulletin board ideas? 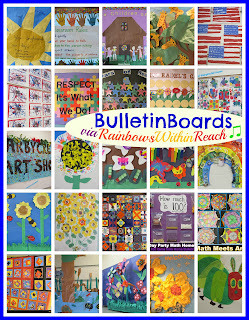 Stop by Rainbows Within Reach and check out Debbie's collection of bulletin boards!